Plate Breaker Jewelry will be at the Monteagle, TN Chili Cook Off on Saturday. Check out the details here and be sure to come by and say hi. Join us for the Sand Mountain Potato Festival at Henagar Park this Friday. Festivities begin at 10 am and end after the fireworks in the evening. Come out and enjoy a day of fun, good food, good music, and Plate Breaker Jewelry! Plate Breaker Jewelry will be at the Buck Creek Festival in Helena this weekend. Come out and enjoy crafts, music, children's activities and food! Oh! And then there's the rubber duck race. Rain? What rain? This event will go on rain or shine, so come out and enjoy this free event. Oh well, at least ducks like the water. 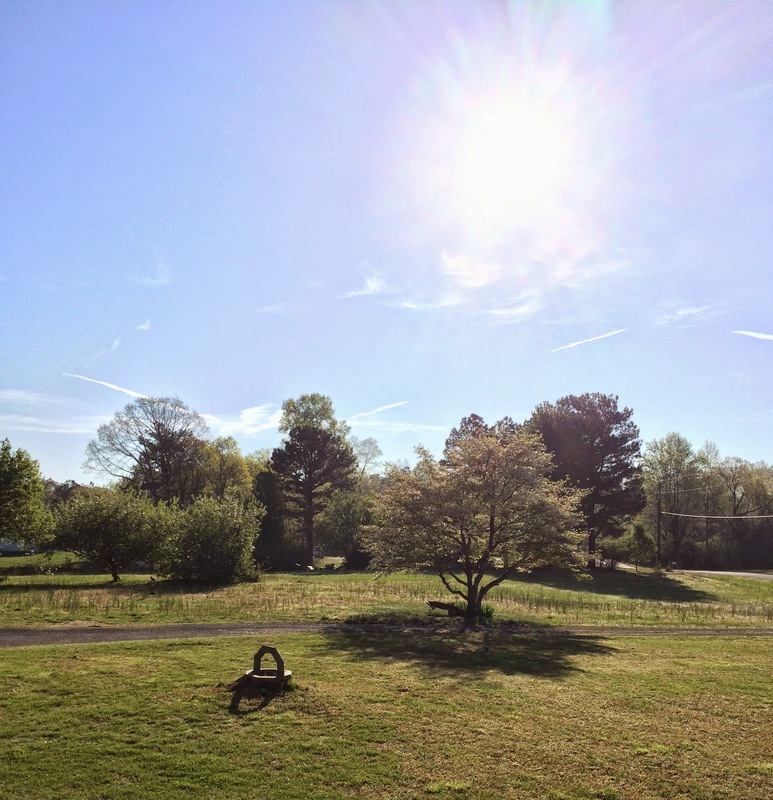 Springtime is a great time to visit Mentone, Alabama. This quaint village, nestled atop the west brow of Lookout Mountain, is a beautiful place to visit as the mountain and the streams come to life after a long winter. While you are visiting Mentone, be sure to drop in to see the good folks at The Graceful Giraffe and view the Plate Breaker Jewelry collection available there. Located in the center of town at 6061 Alabama Highway 117, they are open Friday - Sunday. Happy Easter from Plate Breaker Jewelry! Wishing everyone a wonderful Easter Sunday. Be sure to visit Art on the Lake in Guntersville, Alabama this weekend and visit us in Gym 1, Booth 9. More than 120 artists are expected, along with food, games and more! Are you from Guntersville or the Marshall County area? Please like our Facebook page and let your friends know about Plate Breaker Jewelry! 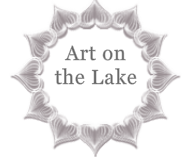 Be sure to come out to Guntersville this weekend for Art on the Lake. Held at the Guntersville (Alabama) Recreation Center at 1503 Sunset Drive, this 53rd annual show will take place rain or shine. Admission is $2 for individuals age 13 or higher. This is our first show in Guntersville, so we look forward to visiting with everyone there. Art on R Mountain takes place Saturday from 9 am until 5 pm at the Ruffner Mountain Nature Center. If you are in the Birmingham area be sure to come out to visit. Click here for a map. Always the innovator, Trisha has developed a new design for broken plate necklaces. Let us know what you think. These will be available at Art on R Mountain on Saturday and in our online store soon. Plate Breaker Jewelry may now be purchased at Chick's Interiors in Fort Payne, Alabama. Chick's Interiors sells antiques, painted furniture, and other items for the home. Be sure to drop by their store at 216 Godfrey Avenue Northeast in Fort Payne. Plate Breaker to be in New Stores Soon! Look for Plate Breaker Jewelry in more retail locations soon! Look for announcements regarding new stores that will carry PBJ soon--one this week and another in June. The Spring craft show season begins for Plate Breaker Jewelry on March 8 at the Elk Valley Crafters Association Spring Show in Fayetteville, Tennessee. The show will be held indoors at the Lincoln County High School and will run from 9:00 am until 5:00 pm. The show will feature approximately 80 booths and there is no admission charge. Visit the show website here and be sure to drop by the Plate Breaker booth to say hello. The Show Listing has been updated on the website. We plan to be at Lowe Mill in Huntsville on January 25. Other shows are being added soon.